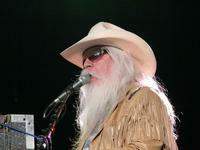 The Babcock Theater in Billings, Montana, rocked and rolled when Rock and Roll Hall of Famer Leon Russell and his band pounded out a mix of hits and familiar covers. It wasn’t too difficult to imagine oneself in an Oklahoma City juke joint or a New Orleans nightclub of days gone by, without all the smoke and alcohol. And there was not a bad seat in the 700-seat house. This was good time party music played by a master band leader; one only recently getting the recognition he deserves. 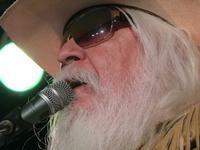 While the music was great, it is too bad he didn’t talk more, because he has some wonderful tales to tell. 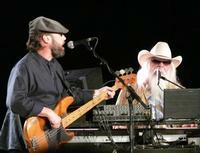 As someone whose performance career began in Oklahoma juke joints at age 14, he has played with everyone from Conway Twitty to Elton John with sessions and gigs with Bob Dylan and three of The Beatles along the way. He slipped in a short story of discovering that his ’70s trademark green top hat was worn by Al Jolson in the 1938 film, The Jazz Singer, before remarking on the more geographically appropriate cowboy hat he sported in Billings. 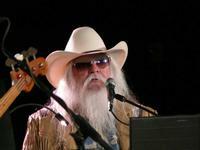 The next grouping was composed of less familiar tunes, so it may or may not have included any from his recent duo album with Elton John, but he sure missed an opportunity to plug it. Apparently, he’s not one to ride on other’s coattails. Russell was, in fact, an early inspiration for Sir Elton, who was once nervous to find the readily recognizable Russell in the front row of his debut performance in Los Angeles way back in 1970. But, while Russell left an impression on Elton John, his own career never reached the same heights. 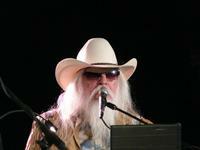 Half of his set list was filled with covers of others’ hits, many that he’s recorded himself over the years. Every song sounds like it’s his own, though, with his slightly funky piano boogie and nasal vocals delivered out the side of his mouth. A string of familiar songs finally brought some of the tame crowd to their feet; a small group eventually gathering to dance down front. “Wild Horses” by the Rolling Stones and Dylan’s “A Hard Rain’s Gonna Fall” weren’t instantly recognizable out of the gate, since Russell put his own stamp on every cover he performed. He introduced the latter as one of six songs he recorded for Dylan’s birthday present one year. The Beatles’ “I’ve Just Seen a Face” and “Georgia on My Mind” (associated primarily with Ray Charles) got a similar honky tonk treatment by Russell and his four-man band. The band was tight and talented, but the sound was bottom heavy, making it difficult to pick out the instrumental solos at times. 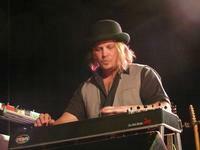 Multi-instrumentalist Beau Charron switched from guitar to mandolin to keyboard to pedal steel and back, but was rarely heard. 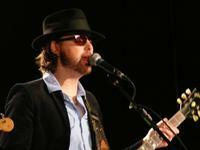 Lead guitarist Chris Simmons was more prominent and even got a solo spot where he sang and played slide. 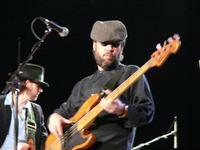 Bassist Jackie Wessel sang one song, as well. Along with drummer Brandon Holder, they provided some tight four-part harmonies as well. This year was the 40th anniversary of George Harrison’s “Concert for Bangladesh,” which featured Russell performing the Coasters’ “Youngblood” after “Jumpin’ Jack Flash,” so it was surprising that he didn’t play that, too, or even make mention of the show. It seems like Russell is just content to rock the party and not do too much reminiscing. 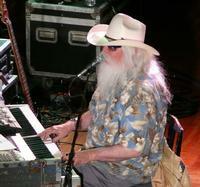 Instead of leaving the stage for the anticipatory encore, Russell said, “Some of us are too old to walk off the stage,” and sat at his keyboard where he’d been all night before inviting the audience to sing along on Jerry Lee Lewis’ “Great Balls of Fire” and Chuck Berry’s “Roll Over Beethoven.” Simmons did a little of Berry’s trademark duck walk while soloing; one of the only show biz bits of the night. The concert ended without a performance of “This Masquerade,” one of Russell’s most memorable songs. But other than that one omission and the somewhat muddy sound, the show was a most satisfying one by a legendary artist who will turn 70 next April.